Having teased her fans for months about the upcoming release of her fourteenth studio album, Queen of Pop Madonna has finally given them something solid to tide them over until its first single releases later this week. Across all her social media platforms, she unleashed a provocative teaser dripping with the singer in wildly different looks — blonde and brunette — including veiled references to her past. In one, she wears a white cowboy hat, a possible hat-tip to her “Music” era, completing the look with what could be a “Like a Virgin”-style gown. A look with an eyepatch calls to mind her “American Life” era, scenes of her character tagging a wall with spray paint could be a “Borderline” music video reference, a silhouette with a crop is reminiscent of her “Erotica” character Dita, and some of the other looks pay homage to stars of the past, like Marlene Dietrich and Edith Piaf. The tease dovetails with a series of “X”-related photos she has posted on her Instagram Stories lately, whipping fans into a frenzy for the album, which is rumored to include a duet with Maluma. 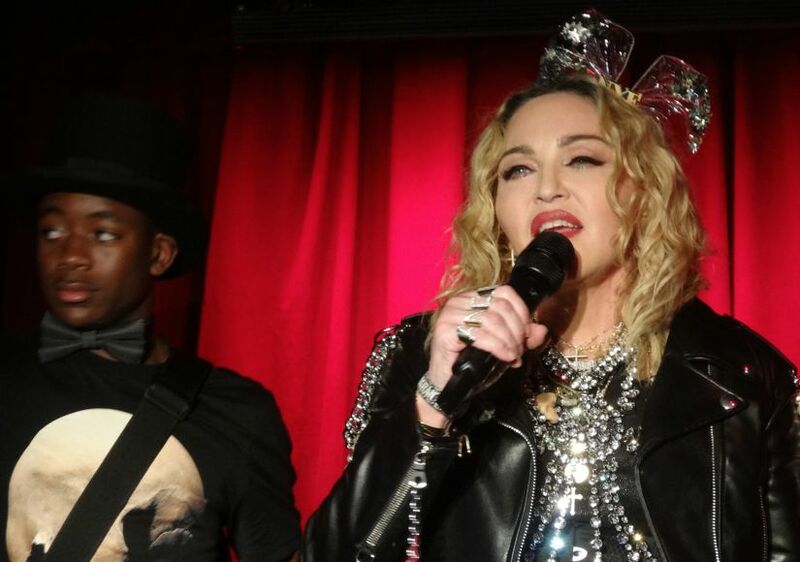 Madonna celebrates New Year’s Eve with son David by reaffirming her support of gay rights at NYC’s Stonewall Inn. Madonna, 60, is gearing up for a busy year — she will receive be honored at the 30th Annual GLAAD Media Awards in NYC May 4, will perform one classic and one new song at Eurovision in Tel Aviv May 18, and is rumored to be readying a tour. Her album’s release date has yet to be announced.